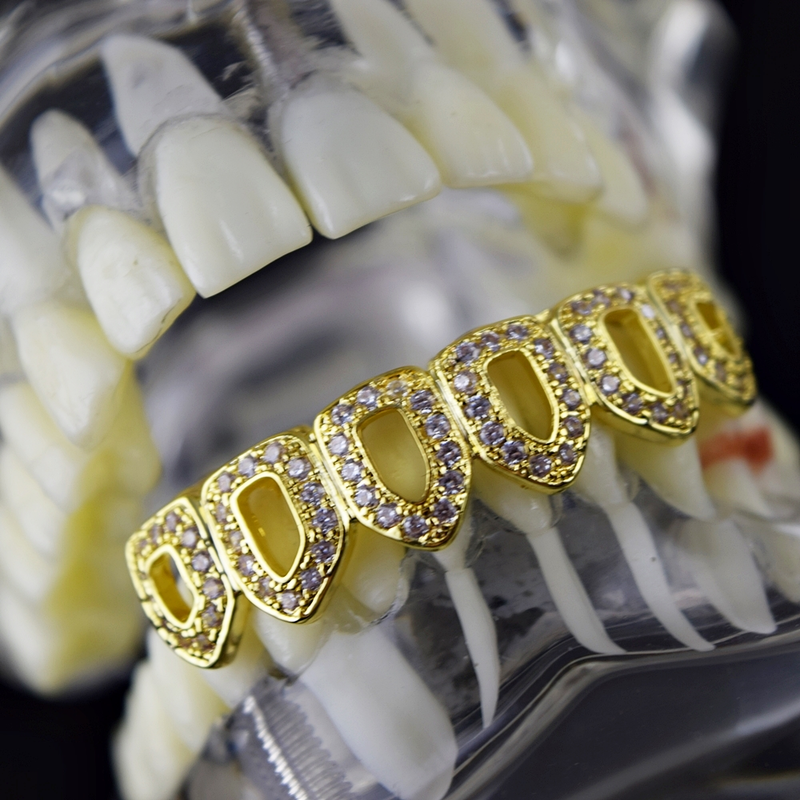 Best Grillz™ lower teeth CZ bling grillz. 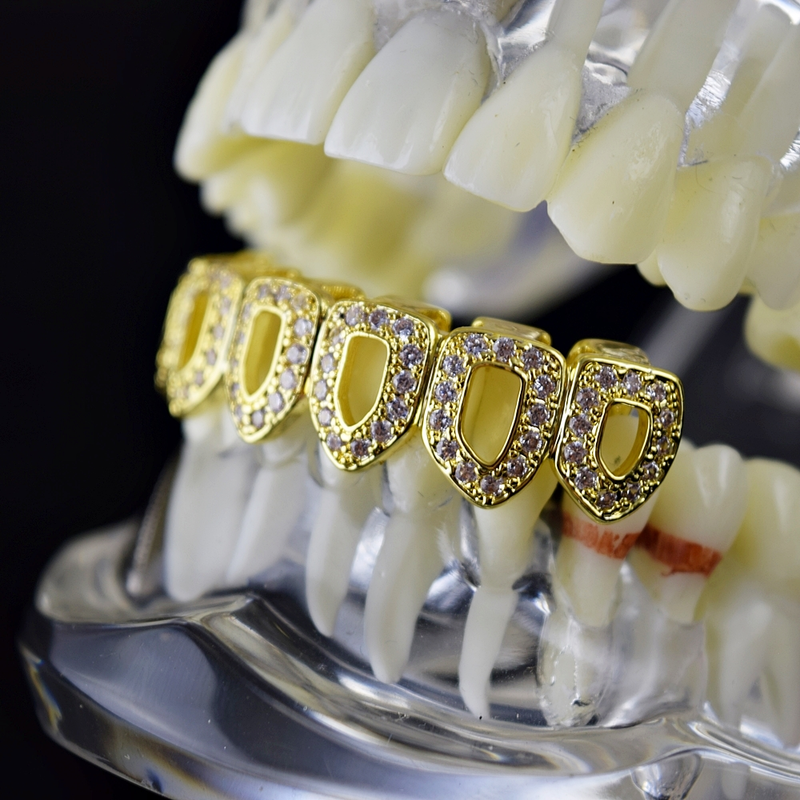 Grillz are 14k gold plated over brass metal. 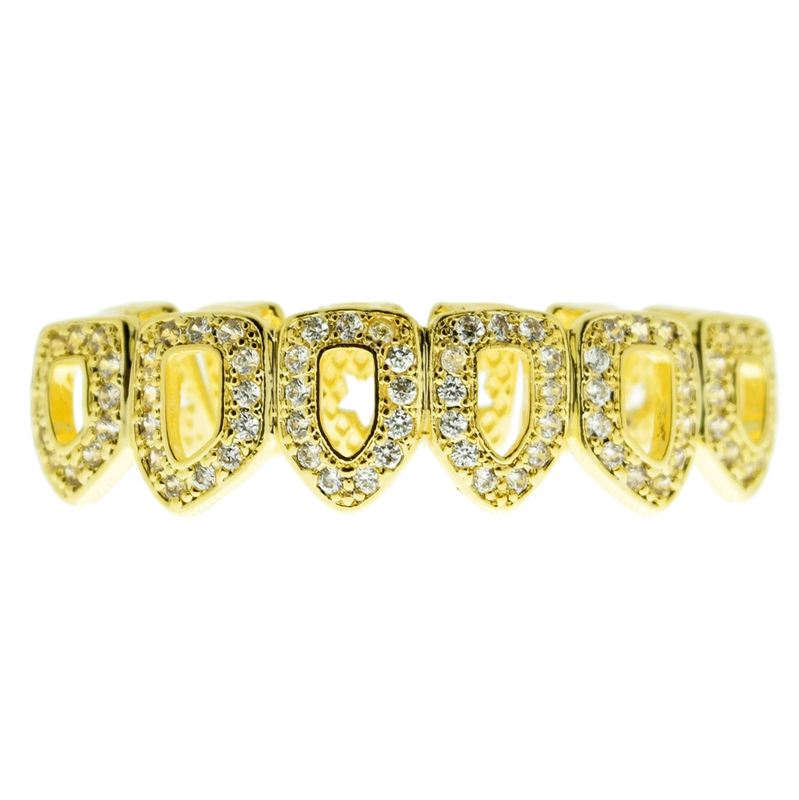 Hip hop grillz feature all six open teeth. 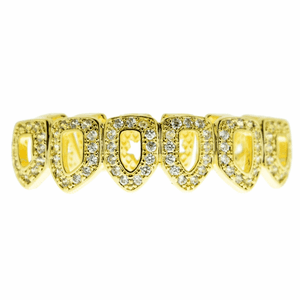 Iced-out with real Cubic Zirconia stones. 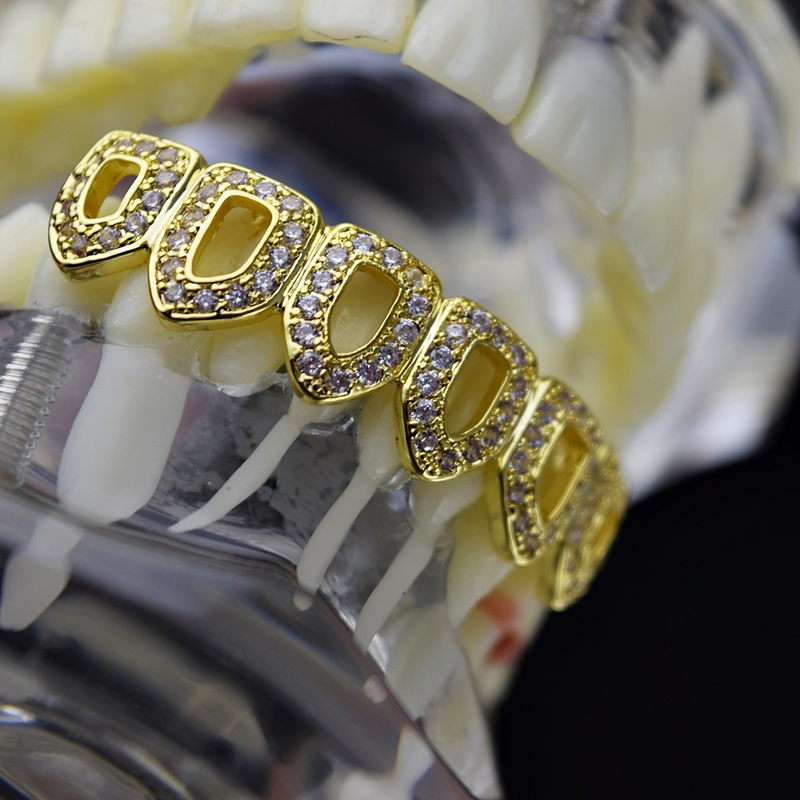 Get your shine on with our bling teeth grillz.